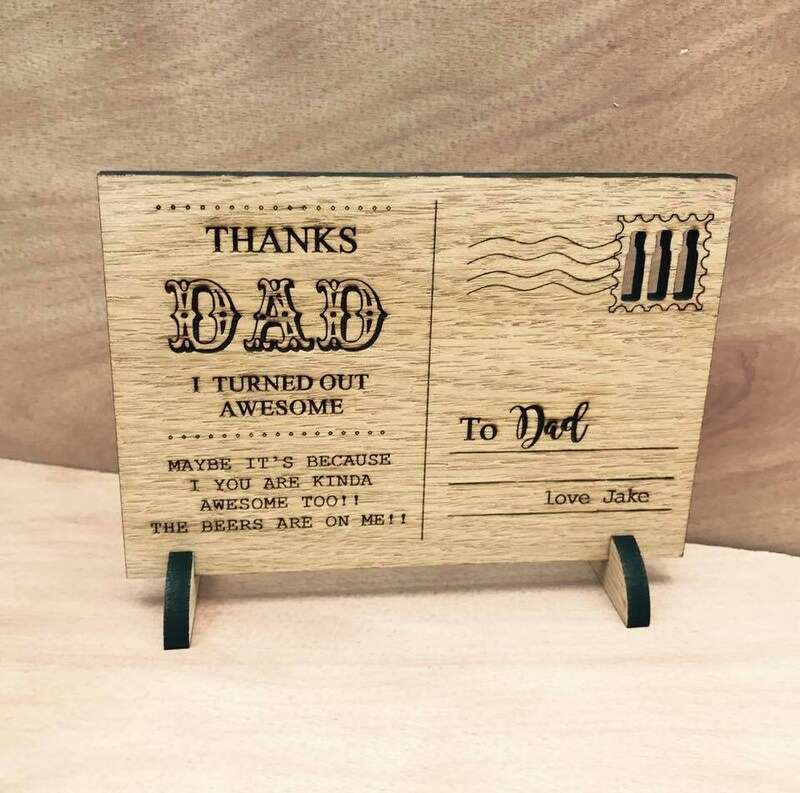 Wooden Personalised Father's Day Card. Engraved Post Card Style: Special Gift -Father's Day, Dad, Daddy, Grampy, Uncle. Ideal Birthday Gift. 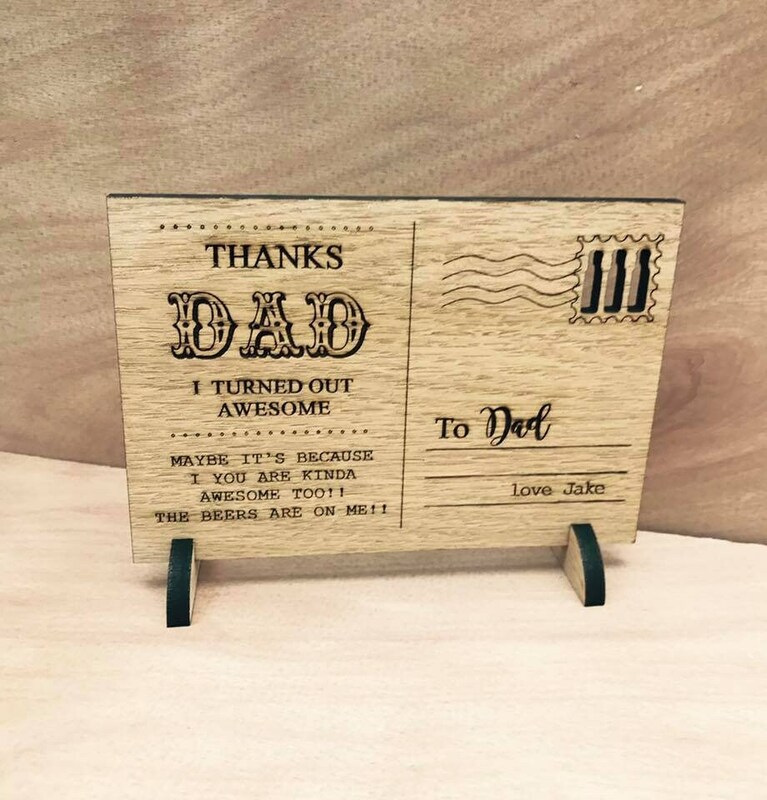 · Beautiful Wooden Oak Personalised Engraved Stand Up Post Card. 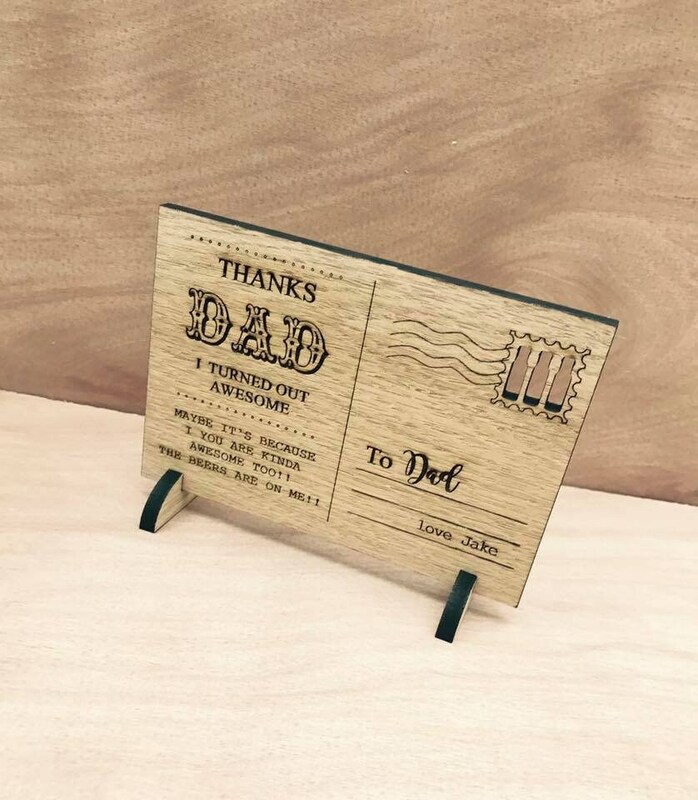 · Suitable for: father's day, dad gift, birthday, valentines, special gift. · 151mm x 110mm approx dimensions of card. ✦ Please Type Exact Text You Require To Be Engraved, as we will copy and paste. your item with 5-7 business days.